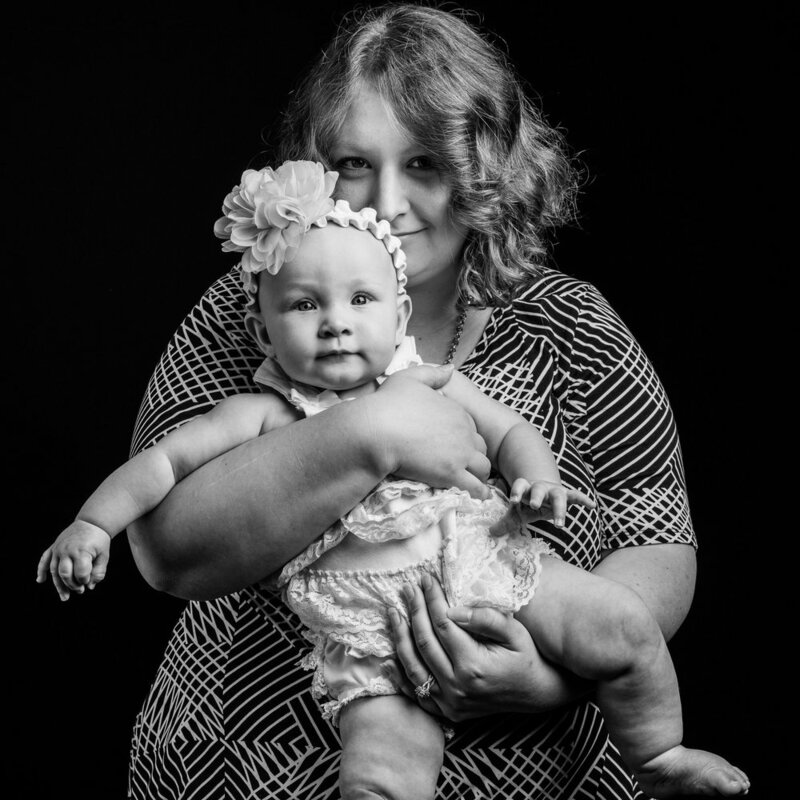 Ashley's Story "She Deserves Better"
Postpartum depression: the monster that's been quickly stealing my life for the past 9 months. Mental illness is something we can't see, so it often doesn't feel real, especially when there are so many people out there dealing with things that seem so much worse. But this thing that's consuming me, that's hurting my marriage, that's robbing my baby of a happy mother, that tells me to run away or hurt myself because I can't go on anymore... This thing is real. At first I struggled to talk about my PPD; I kept hoping that I would just get better with time. But my therapist said that no one talks about these things DURING the struggle, just afterwards when they're recovering. So I'm going to talk about it while I'm in it. It might make you uncomfortable, and it can be hard to be vulnerable and ask for help, but I can't win this battle alone. It was a struggle to get pregnant, and then I was extremely sick for 9 months. I was frustrated and angry, but I envisioned a beautiful, healing birth experience that would make up for the rough start, and launch me into the exciting journey of motherhood. At 37 weeks I found out I needed a c-section, and I was devastated; my gut told me that my breech baby wouldn't flip before birth. The doctors in the operating room were excited to find out with us if we were having a boy or girl, but I was really just terrified of getting an epidural. My husband got to see my baby before I did, but I cried tears of joy when I was informed that I'd had a girl, after spending 9 months trying to accept that I might have a boy instead. The next few months were blurry; honestly, it's probably best that way. C-section recovery was brutal. I still have no feeling in or around my incision site, save for the occasional sharp burst of pain that still randomly reminds me that my body will never be the same. I was tired, in so much pain, and the newborn stage was so much harder than I had assumed it would be, especially since my baby had acid reflex. My husband and I fought, I cried daily, and I begged my baby to sleep. I kept thinking that I just had "baby blues," but the sadness got worse and worse, and by my 6 week check-up, I knew I needed help. My midwife gave me a PPD test that I scored exceptionally bad on, then told me to get on Zoloft and see a therapist. After years of hearing about all of the resources now available for women with PPD, I'm still disappointed that I have so few options for treatment. When my daughter was 3 months old, things began to get a bit easier. I started taking antidepressants and seeing a fantastic therapist, my baby began to be more playful and happy, and she was sleeping 12+ hours a night. Then my daughter had hip surgery. My daughter has severe hip dysplasia, which required a very extensive surgery and 6 weeks in a body cast. The 3 days that we spent in the hospital following her surgery were excruciating. A nurse had incorrectly told us that babies often bounce back quickly from this procedure; my daughter didn't eat or open her eyes for 12 hours, and would only drink out of a bottle for 2 days, refusing to nurse. Sometimes I think that the 6 weeks in the body cast might have been harder than the newborn phase. I hated giving my 4 month old narcotics and muscle relaxers, but she was in constant pain. She didn't sleep much and she hated leaving the house, crying when anyone but us tried to hold her, or when there was too much noise. She nursed constantly and needed to be held often, as laying down hurt her tiny body. I hated when people would tell me what a great mom I was, because I knew the truth. I knew that I resented my baby for stealing my sleep, even though I knew it wasn't her fault. I knew that I would yell at my daughter to stop crying, then break down in tears because I couldn't believe I had done that. I knew that I fantasized about running away, because my husband needed a better wife, and my daughter deserved a better mom. I knew that I rarely had feelings of love for my daughter. I knew that I asked my husband to do more than his fair share, because most days I couldn't handle being around my daughter, let alone manage to get out of bed. My husband didn't understand how bad things were - I struggled to articulate it. But one night I laid in bed crying, desperately trying not to reach for my gun, and I knew that there was no way I could continue to live in this much pain. I called my therapist for an emergency session the next day, and my husband and I started working on action plans: things I could do to avoid going to such a dark place again. My daughter got out of her cast and into a brace, and though things weren't perfect, the change was dramatic. God gifted me with a gorgeous baby girl that loves life and loves to smile. I see her innocence and joy, and I want to be more for her. She deserves better. Being honest about this has been hard. Asking for help has taken courage. I was angry at God for a while, but once I finally admitted it, I started working on my relationship with Him. I know He's forgiven me, even though I struggle to forgive myself, and I know that He has big plans for me and my baby. And I feel that there's a purpose for this PPD. I hope that someday I can help others going through this, but right now, I'm watching it transform me completely. I'm becoming a different person. I'm learning to love myself and my flaws. I stopped getting on the scale, and embraced my new squishy tummy. I started leaving the house - going on walks, visiting neighbors, and just taking my baby to Target. I've started feeling less guilty about asking people for help. I've started buying myself pretty clothes, treating myself to long showers, and I'm working on learning yoga and eating healthier. I have a very, very long way to go. Most days I question if I was meant to be a mother. A lot of days I cry and have to force myself out of bed. But I'm fighting. It's a war with many battles, and I intend to fight with everything I have. I've got God, family, and friends on my side, so how can I lose? After all, my baby deserves better.